I have traveled many times from Cebu City to Bacolod City passing through the town of Don Salvador Benedicto in the mountainous middle part of the province of Negros Occidental in the newly formed Negros Island Region in the Philippines. One of the refreshing scenes I come across when I travel this route are the presence of pine trees in a stretch of the rolling terrain. Sadly though, I never got the chance to explore it more as the buses never stop there. They do have a stop at the town, but not at the stretch where the pine trees are planted. When an old friend offered to drive us from Bacolod City to San Carlos City when we visited Negros Occidental, I immediately took the offer without hesitation. After all it will save us a few pesos of bus fare. Driving through the mountain town of Don Salvador Benedicto bores not the observant traveler. 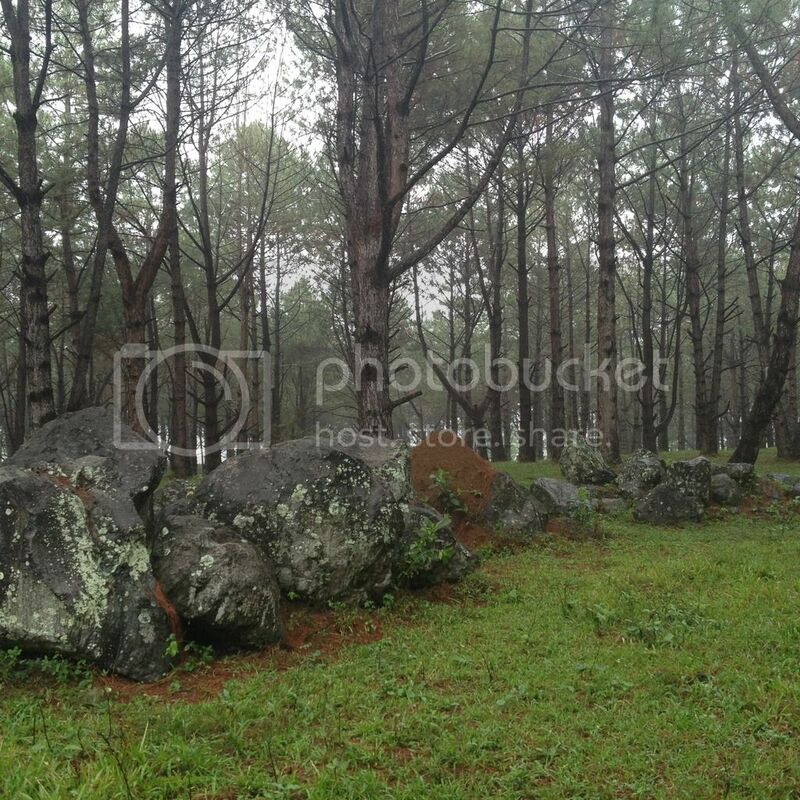 The landscape includes a view of rice terraces, a serene highway, fog on the road, a lion statue reminiscent of the one found in Baguio City's Kennon Road, an overlooking view of the Tañon Strait, a pine-tree lined highway also conjuring images of Baguio City, and a pinewood forest on a private property. We stopped three (3) times along the way. First was when we took pictures of the rice terraces. Second was when we stopped to adore the pinewood forest. And the last one was to admire the beauty of the Tañon Strait. The town of Don Salvador Benedicto has some very striking resemblances to Baguio City and the Cordillera region. 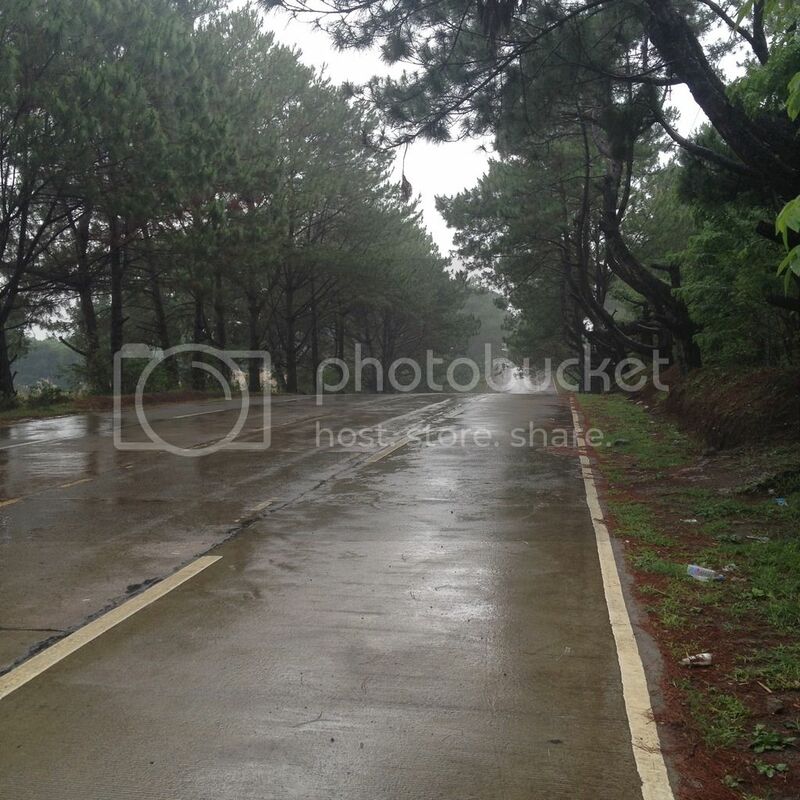 For one, there is a stretch of highway that is lined with pine trees. There is a pinewood forest. Farmers also cultivated crops in terraces carved out of the mountains. It is a colonial hill station just like Baguio City. DSB also counts Baguio City as one of its sister cities. And while Baguio City is dubbed as the Summer Capital of the Philippines, Don Salvador Benedicto is the Summer Capital of Negros Occidental. 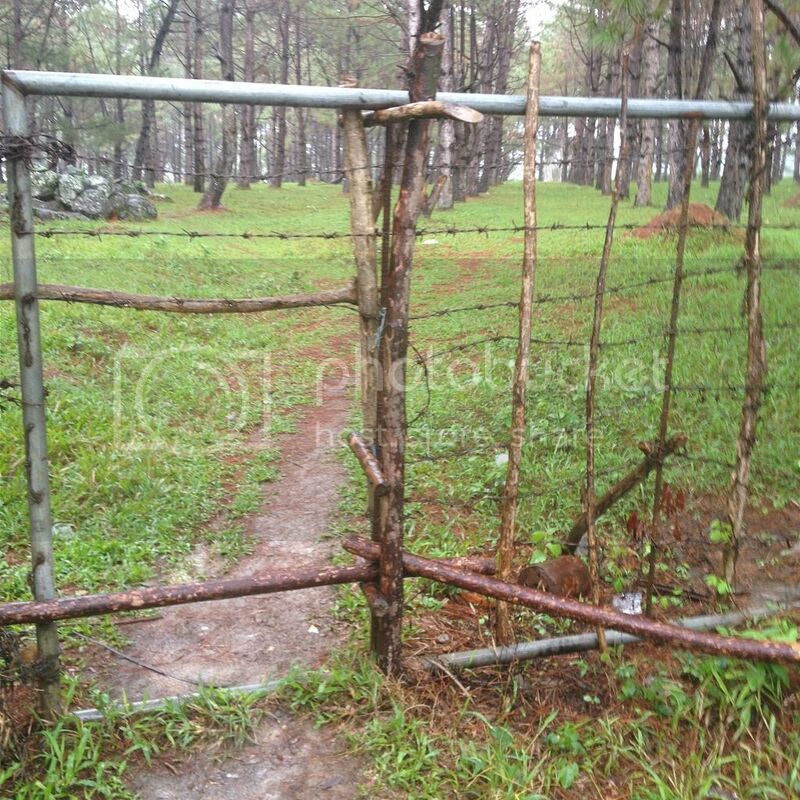 So the second stop we made during our return trip from Bacolod City to Cebu was at the pinewood forest. If you were to look at a photo of it, you might think the photo was not taken in the Philippines. 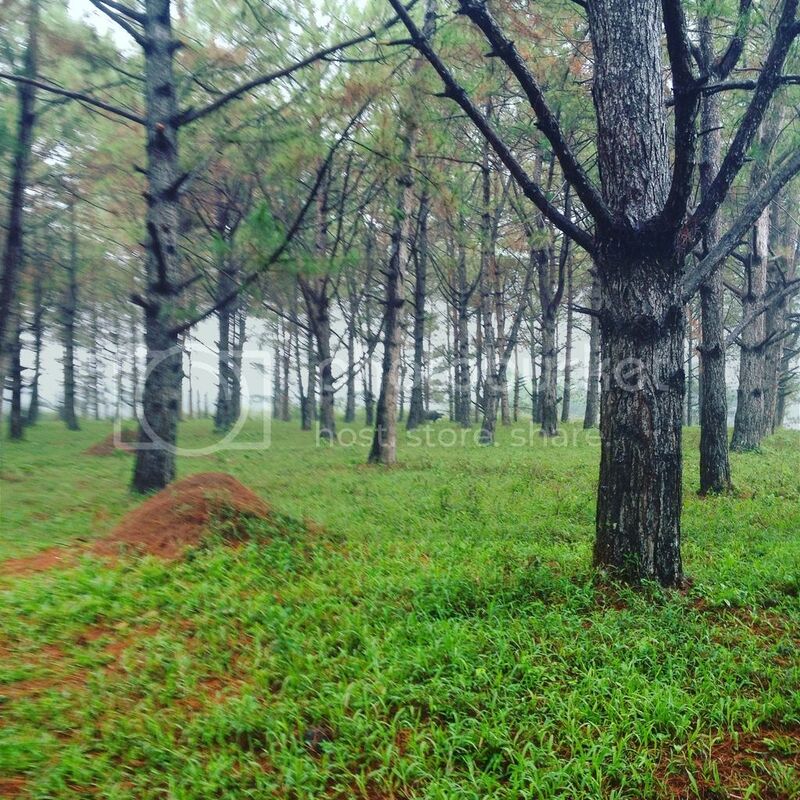 This man-made pinewood forest sits on a private property. With no ill intentions and just the purest longing to enjoy the vista, we sneaked in through a gap in the wooden perimeter fence along the highway reinforced with rusting barbed wire. Much of the floor of the man-made forest was red from red pine foliage. A very quiet retreat only intruded by the sound of passing vehicles and the occasional grunt of the carabao or water buffalo.